Old but still nagging problem. If using a German keyboard, you need to use Alt Gr + 8/9 for the [brackets], feels quite uncomfortable. Adding to the misery: Alt Gr is a key for use with the right hand which usually is eagerly occupied with taming the mouse. Of course we could also use Ctrl + Alt + 8/9 for the [brackets] - but that would also mean taking the hand off the mouse – as only Chuck Norris is able to press that key combination with just one hand. Ah, sorry, it’s Chuck Norris – so of course he’d do it with a single finger. So nothing gained if you don’t have a fulltime Chuck at hand. Problem surely is the same for keyboard layouts other than German. Let us globally define two keys for all kinds of brushes in one go. It’s a pain in the you-really-know-where ferreting out all single brush size settings and changing the keys one by one. Workaround could be a tiny application doing those global changes in that XMLs lurking inside the AFSHORT files. A one-hour programming job for an experienced coder. Use the scroll wheel of the mouse for changing the brush size. My preferred option. I know there’s an implementation already (Alt, right and left click and drag), but that’s far away from being real beneficial, too much fiddling. How about holding down a modifier key (selectable, like Alt), then being able to control the brush size using the wheel? Plus a second modifier key (like Shift) for 10-step size changes. I guess that would feel real natural – like zooming with Ctrl + wheel which we all can do even asleep. Of course a combination of both suggestions would be an ideal solutions for all kinds of tastes and working behaviors. You can change the default shortcut keys for increasing/decreasing the brush size in Affinity Preferences, Keyboard Shortcuts section: set the first dropdown to Photo and the second to Selection Brush Tool (or other Brush tool there - it will change for them all anyway). Regarding the second issue (using mouse to set size/hardness) we had to pick that key/mouse key combination because Windows lacks a modifier key compared to Mac (which provides four) - on Mac the same operation is performed holding down ⌃(ctrl) + ⌥ (alt) keys and dragging the mouse. We understand this it's not very intuitive on Windows and are considering changing it eventually but are running out of modifiers/solutions. 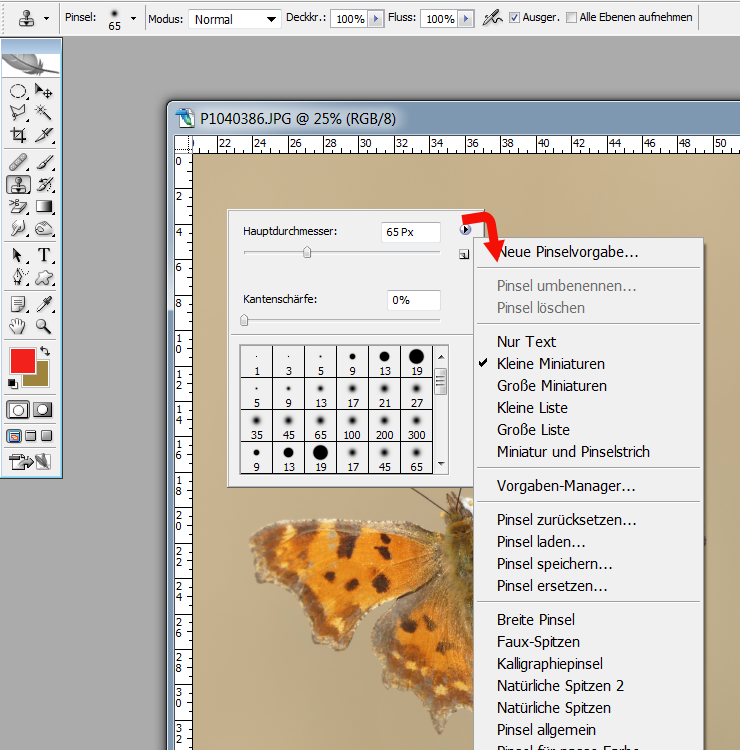 I already tried the first approach - but I still need to change each and every brush size keys separately. It doesn't do a global change. Tried with 1.6 and the latest beta. About the second issue: Please reread my suggestion (even if I tend to be quite lengthy) - we're talking about different things. Already suggested a possible solution to this problem. 1. It's not working on Windows. Sorry I wasn't aware of this. I'm logging the issue to be looked at. 2. Regarding using the mouse-wheel (along with modifiers) for changing size/hardness I will check this with the dev team to see what/if can be done here. Thanks for your feedback. Mr MEB: Thank you for the quick reply on semiholy Saturday. 1. My bad - should have revealed I was babbling about the Windows version. 2. Ah, forgot about hardness. In that case we need to forget about Shift working as a 10-step modifier, it's better used for setting hardness. Thus speed of wheel rotation could be used for determining the stepping rate: Slow - single step. Fast - increment by 10 or even more, speed-dependent. Global brush size is CTRL-ALT-wheel, opacity is CTRL-SHIFT-wheel, ALT-wheel for layer selection, and then I can whip through a 7-layer frequency separation without ever taking my eyes off the work at hand. Even with only three modifier keys on Windows, that's 7 things I can adjust speedily with the same three keys and mousewheel. Ahh, sorry, I don't like that idea too much. Reason is severe interruption of the workflow, a major hindrance. 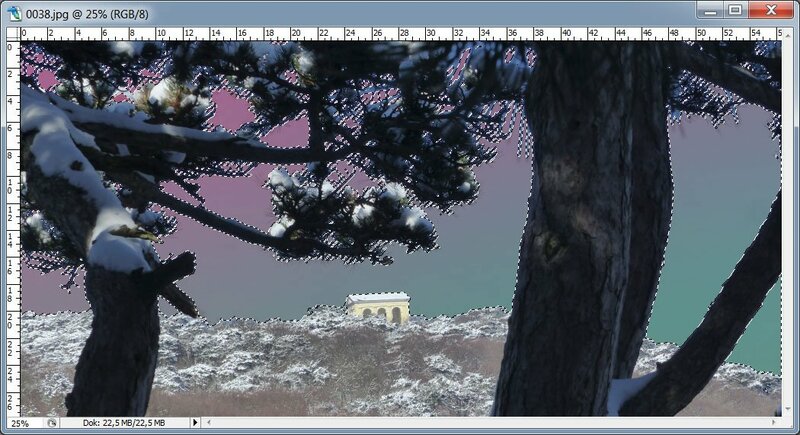 Let's take a typical masking workflow, as usual you wish to isolate the sky in a picture, trees in the background. You grab the masking brush, easily mask the coarse elements, but then the fine work starts - like masking the space between twigs where the sky should shine through. In that situation, you constantly need to change the size of the masking brush, adapt it to the size and other properties of the area to mask, also need to quickly switch between Snap to edges and regular behavior. And you like to do that without interrupting your workflow, without moving the brush away. You constantly need to compare the brush size with the area to mask, you need to see the proportions, thus you always need to see the picture and the brush. And you need to see the brush exactly at the place where you wish to use it. Easy to accomplish if you use keyboard keys (if it's not "[" "]" with non-English keyboards) or mousewheel. But *impossible* to do if you need to go though a complex selection dialog with every single change of the brush size. Might take hours, you cannot compare the proportions of brush and area to mask, position of your brush also changes. Mousewheel always changes the brush size if a brush is selected and the pointer is hovering over a picture. Fast spin: Quick and coarse size change. 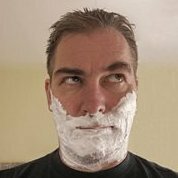 Slow spin: Pixel-wise size change. Configurable modifier keys, like Alt for changing the hardness or Shift for changing opacity and the like. Or Q, W, E for Opacity, Flow, Hardness - up to your taste. Mouse wheel button controls switches like Snap to edges, doubleclick for wet edges, keeping pressed for using a third switch etc., also configurable according to the features you need most. Just imagine that way - would feel just natural. Like changing the zoom using CTRL + mouse wheel. An intuitive no-brainer. Only if is an optional thing you can tick ON at preferences (I would not even set as default). I do zoom (and +ctrl is going against the way a TON of apps works, using only the wheel. U require two hands for sth done so often with one ) with wheel (pan with wheel button) as is extremely fast and compatible with other apps workflows, and I know for sure a lot of people do so as well... And I mean, I zoom while I am actually painting, with the brush hovering the picture. I tried that in some software apps to realize I'm much better off lowering the Wacom's disc sensitivity (more control) to the minimum, and setting there the increase and decrease brush size keys. Heck, if that changed with no alternate option I'll "hack" my way through X-Mouse Button Control, as usual, but a lot of people gets lost with some medium complex utilities. In PS, I use the Magic Wand tool to select one area of the sky. Then there is the command "choose something similar", so I have chosen all large and small areas. With the gradient tool or the filling tool, I can then perform my coloring. A matter of seconds or a maximum of minutes. Would be nice if AP had this possibility too. In PS wähle ich mit dem Zauberstab-Werkzeug einen Bereich des Himmels aus. Dann gibt es den Befehl "Ähnliches auswählen", damit habe ich dann alle, große und kleine Flächen ausgewählt. Mit dem Verlaufswerkzeug oder dem Füllwerkzeug kann ich dann meine Färbung durchführen. Eine Sache von Sekunden oder maximal Minuten. Wäre schön, wenn AP diese Möglichkeit auch hätte. @Guzzi: AP offers such a tool; it looks like the magic wand, it's called "Flood Select Tool". You click and hold e. g. on the sky area, then move the mouse to select more or less areas of a similar color. The range of movement controls the tolerance, you may choose if this affects the full picture or just the area around the place you clicked. How about holding down a modifier key (selectable, like Alt), then being able to control the brush size using the wheel? ... For all I have gathered, a lot of us use (in many apps) mouse wheel for zoom (and ckickable wheel button, MMB, for panning), so, really uncool to replace that for brush size change function. Now, alt + wheel for brush size, fine with me. Anyway, I'd really see bad if these are added as the only option, instead of an optional (default or not) check. We already got Ctrl + Wheel for zoom, I guess we're pretty used to changing "sizes" using the wheel. That's why I find it real natural changing brush sizes with the wheel, too. In fact I sometimes find myself spinning the wheel, trying to change the brush size in vain - but out of habit. And of course that option needs to be selectable, or better configurable. German saying: "Jedem Tierchen sein Pläsierchen" - different habits, different preferences. @haakoo - Ah, I love spinning the wheel as it is a no-brainer. Dragging needs more focus, you need to make sure your movement remains horizontal/vertical for not changing other paramaters you didn't wish to change. Spinning the wheel using modifier keys doesn't need that precision, just intuition. What concerns me a little bit about the mouse wheel is how many steps the brush is going to be incremented, 1pixel or 10 pixels? the precision will be difficult I think. Let's take for example PhotoLine, if you hold Ctrl and drag the mouse it only changes the size, but if you hold Ctrl+Shift and drag the mouse, it changes only the hardness, in this way there is no worries if you drag the mouse vertical or horizontal. That's no greater problem: Spin the wheel slowly - precise setting, increment/decrement by 1. Spin the wheel fast - factor 10. Spin the wheel real fast - factor 50. Just natural and intuitive. Or even easier: Dynamic increase/decrease, no fixed factors, just one multiplicator and a "curve". As mouse wheels are quite different (fast "free" spinning versus slow and clicky "step-by-step"), menu settings for defining the factors and ranges (impulses per time unit) could make this feature work properly for all wheel types. If working with dynamic increase/decrease, a multiplicator and "curve" setting would be sufficient. And it's easy to do; I am a former programmer, would guess half an hour of programming effort would be sufficient to make it work. Well that only takes care of the brushsize. Personally, I dislike the drag options; too much fiddling and moving the mouse. Sure that's a matter of taste and habit. But the wheel spin alternative would be an addition, no replacement. I would be real happy if I could change the brush size with the wheel, as that's my mostly used brush customization. Would be okay for me to use drag options for changing other parameters (while using the wheel with modifier keys would be preferred) - but size is just predestined for being changed by spinning the wheel. Like zoom. Would you ever think of changing the zoom via dragging the mouse? It's just clumsy. By the way: Zooming would also benefit from a more dynamic handling of the wheel input. We all know the problem: We wish to zoom to a specific level - but the steps are too coarse, the picture either gets too small or too larger. Steps in between are missing. Wouldn't it be great if you could control the zoom stepless with pixel precision if needed? No problem if using dynamic increase/decrease by wheel. Only drawback: Needs a high-performance system as the number of redraws dramatically increases, would also slightly raise your electricity bill. I personally am open for any suggestion to have a better workflow for the whole program and for all users. There are many requests to set the flow and the transparency for the brushes. If you have only a (personal) fix for the size but not for the other settings it's just not complete. Besides alt+left and right mouse drag up/down/right/left is already implemented why not amend it with the other two? Sure, flow and transparency are quite vital parameters - while I have to admit I don't change the flow settings too often. For me, size is THE brush parameter, of course your mileage may vary. But I don't see any problems with implementing changing that other brush parameters also using the wheel - modifier keys. Like Alt (size), Alt + Ctrl (parameter 2), Alt + Shift (parameter 3), Alt + Ctrl + Shift (parameter 4) - just because we all find that keys blindly. So you find holding 3 modifier keys a better workflow instead of one+drag left/right or up/down?